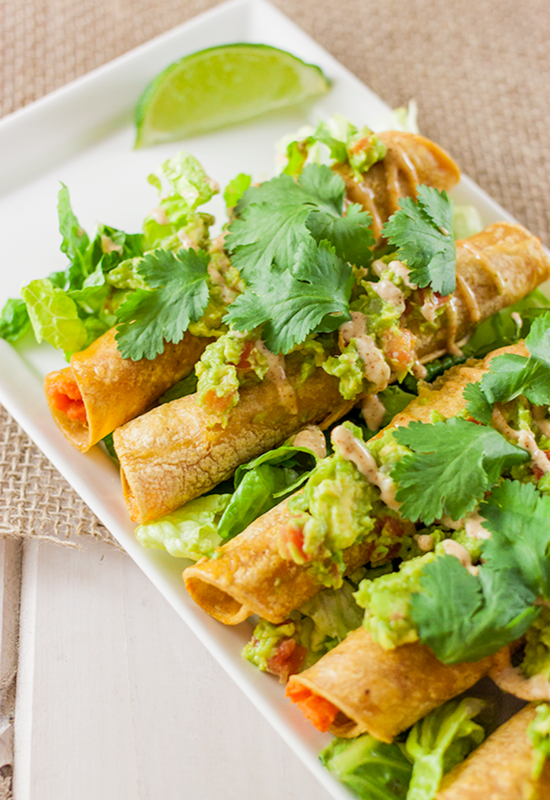 Trade the tacos for this vegan taquitos recipe at your next Taco Tuesday. These crispy baked taquitos are a healthier choice since they are filled with nutrient-loaded sweet potatoes. 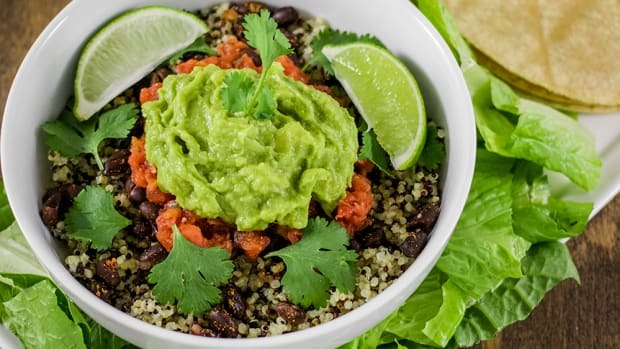 Once topped with guacamole, lettuce, lime, and cilantro, you&apos;ve got yourself a delicious meal rich in greens. Up the nutritional content by swapping romaine for vitamin-packed kale instead. 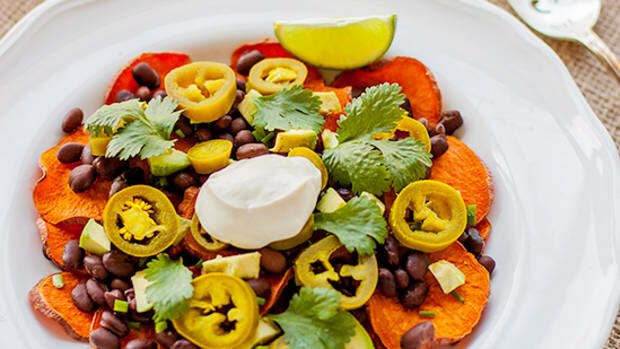 The drizzle of chipotle vegan mayo is key to adding flavor to this Mexican dish. 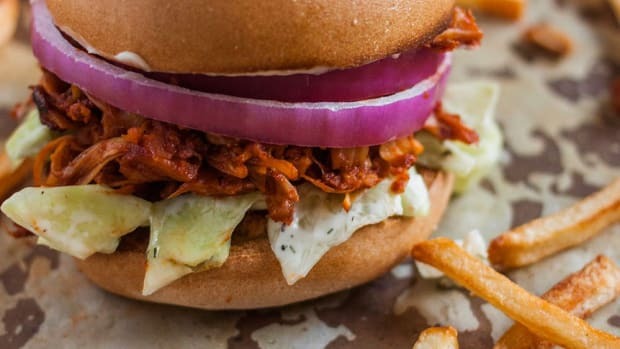 With vegan mayo, you&apos;re leaving out the cholesterol found in traditional egg-laden mayonnaise. 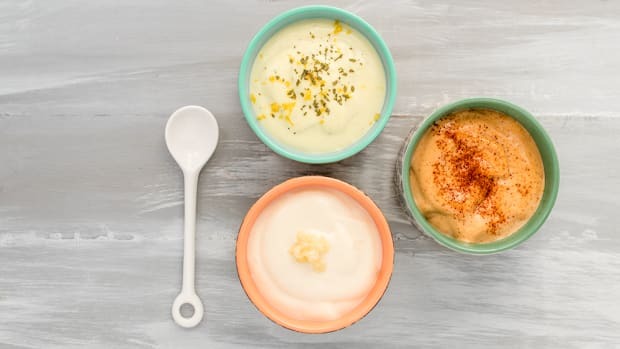 When choosing vegan mayo, you can&apos;t go wrong with tried and true brand favorites Just Mayo and the original Vegenaise. Sprinkle in some chipotle powder and lime, and you&apos;ve got a spicy, creamy dip that&apos;ll kick up the flavor. Preheat the oven to 350 degrees Fahrenheit. Line a baking tray with parchment paper or baking mat. Chop the sweet potato into 3-inch cubes. 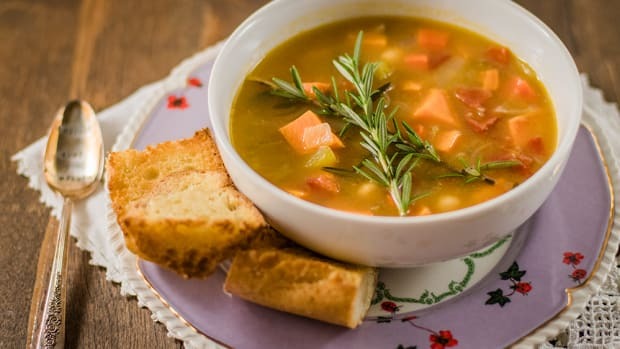 Bring a pot of water to boil and add sweet potatoes. Boil until fork tender, about 15 minutes. 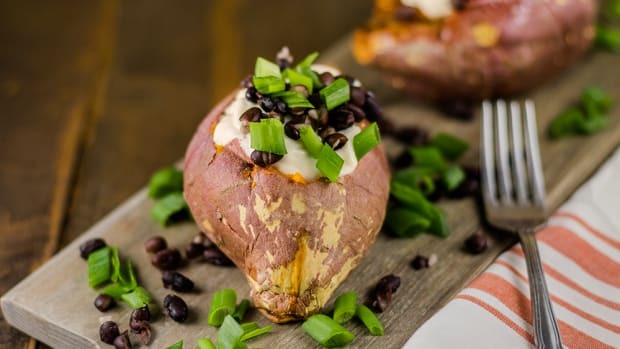 Drain and transfer sweet potatoes to a large bowl. Mash the potatoes until smooth and no large pieces remain. Add vegan butter, sea salt, and cayenne and mix well. 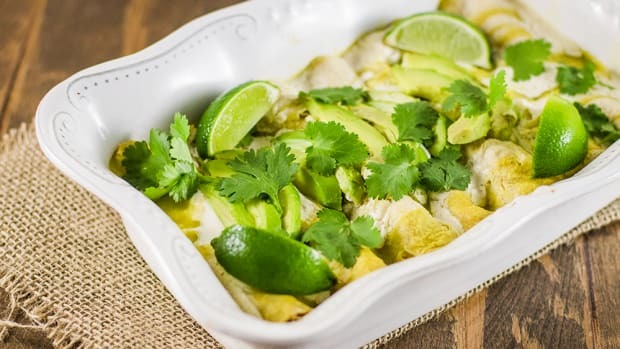 Heat up the tortillas on a skillet over medium-low heat. Add one spoonful sweet potato filling to each warmed tortilla and spread evenly. Roll up tightly, careful not to break the tortilla. Place on the baking tray. Brush each tortilla with a small amount of olive oil. Bake for 15 minutes. Remove from oven and flip. Return to oven and bake additional 5 minutes, or until crispy and golden. Meanwhile, make the guacamole by adding avocados to a medium bowl and mash until desired consistency is achieved. Add lime, pico de gallo, and sea salt. Set aside. 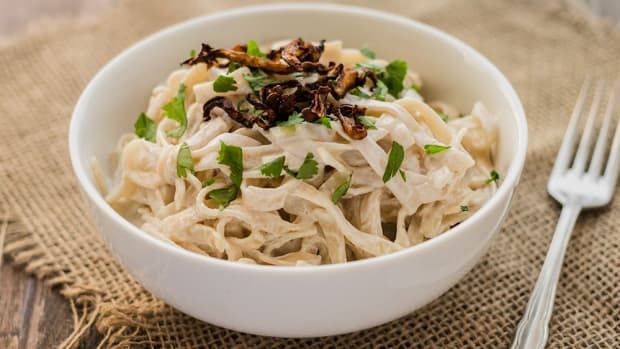 Next, make the chipotle mayo by adding vegan mayo, chipotle powder, and lime to a small bowl. Whisk until well combined. Set aside. 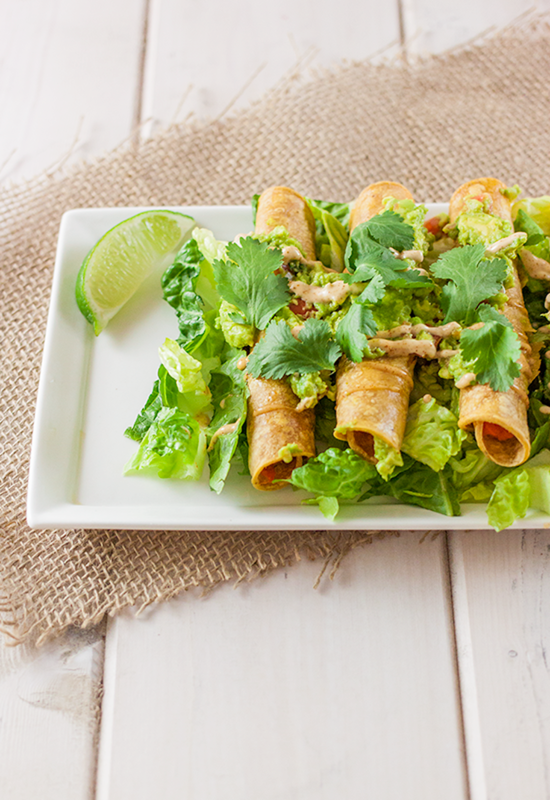 Serve each taquito on a bed of romaine and top with guacamole and cilantro. Drizzle with chipotle mayo and a squeeze of lime. Serve immediately and enjoy!